The UK online shop for PT Cruiser parts and accessories. Welcome to all PT Cruiser enthusiasts. 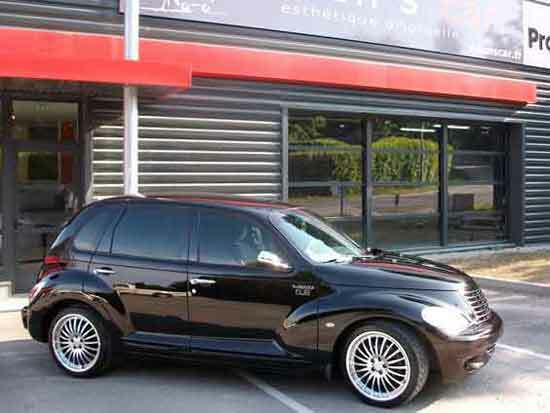 We aim to supply only the best parts and accessories for your PT Cruiser. Our range is continually expanding and virtually everything is held in stock. Your order will normally be despatched first class the same working day if ordered in the morning, but should there be a delay, we will notify you. All prices include VAT (for non EU customers the VAT will be deducted at 'Basket'). Postage will be added at the 'Basket'. All the parts we supply are new, we do not supply used or second-hand. We have a guestbook where you are welcome to add your comments. Currency shown is GB Pounds Sterling and all prices include VAT (Tax) at 20%.